How to Place Purchase Order through QuickBooks? Your business needs raw material and products for its functioning. When your inventory is going out of stock with some material, the inventory department needs to reorder the material. The purchase requisition form is filled up along with the information like name of the product, quantity and some special specifications. The product code is also mentioned to be very precise. This purchase requisition form is then handed to the vendor who in turn fulfills the required shortcomings. The purchase requisition form has to be sent to the procurement for approval. It is also sent to the accounts department for future financial references. The people of accounts department maintain online QuickBooks. With an excellent feature in QuickBooks that can make purchase orders and also partial purchase orders, let us learn about its functioning. QuickBooks desktop has this new feature of the partial purchase order. This is a document that has to be sent to the vendor or supplier. Purchase order document states your willingness to purchase raw material, product or services from a particular vendor or merchant. This document defines the particulars and details of the order. You enter into an agreement with the vendor to receive the product or services under agreed terms and conditions. QuickBooks Online has the feature of Purchase Order. But this feature is missing in QuickBooks Online essentials or Simple Start. If the PO feature is disabled in your version of QuickBooks then you will receive the message “We’re sorry! Purchase Orders is turned off.” To use this feature you have to enable it. Got to Gear icon>Company Settings. Click Expenses in the left sidebar. Click on the pencil next to Purchase Order. After Checking the Use Purchase Orders you can enter titles for up to 3 custom fields. It is optional to enter default message to Default Message to Vendors/Suppliers on Purchase Orders. You save the page by clicking on the Save button. How to enter a Purchase Order? The status in the upper left corner will automatically set to open when you enter a Purchase Order. When all the orders are indicated to be either received or paid across all the linked transactions, this status automatically changes to closed. You have the liberty to change the overall status of a PO at any time. You can also change the status of individual lines. There are number of reports in QuickBooks Online to help with your Purchase Order. In order to view reports, go to Reports click all reports. No go to Review Expenses and Purchase to get the relevant report on expenses and purchase. There are various other categories under this such as Open Purchase Order List and Open Purchase Order Detail report and many Purchase Detail report. These reports will help in decision making for the future course of action. As the owner or manager of the firm these QuickBooks Support reports come quite handy while making decisions related to the raw material purchase or receiving any kind of services through the vendor. Facing issues during the installation process of QuickBooks. 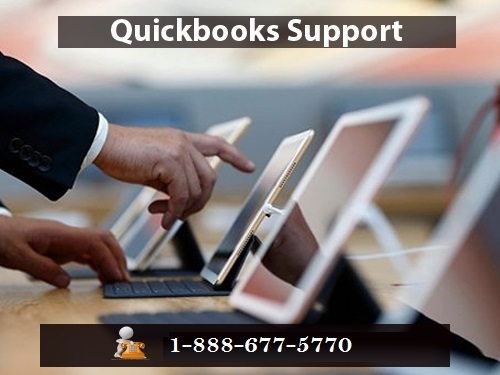 Contact our QuickBooks Support experts @ 1-888-677-5770, we are professional tech support experts for every versions of QuickBooks. We have experienced QuickBooks Support team which is able to resolve all kind of issues in a short span of time. Looking for a reliable help? Make an immediate call at QuickBooks Enterprise Support Phone Number 1-800-969-7370 that is accessible by chat, email or a call. Feel hassle-free in connecting our diligence professionals through various modes of services that suit you best.